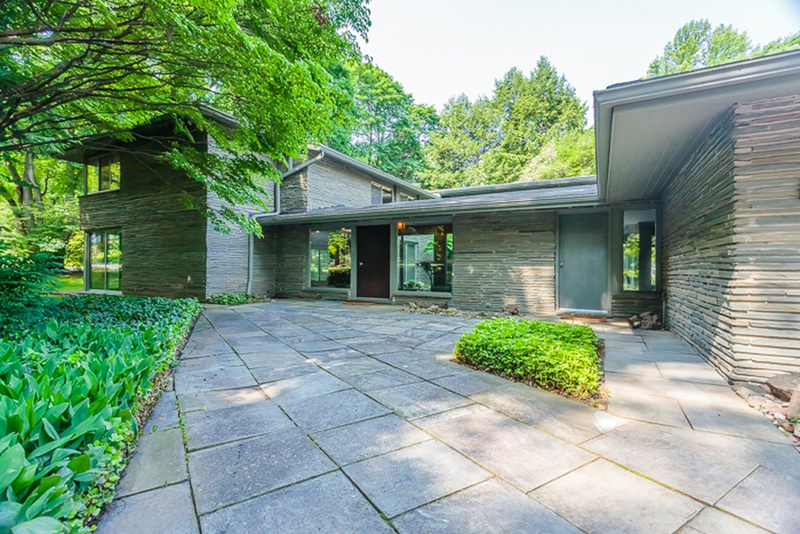 Margaret – As you’re featuring the work of Don Hershey on this site, I wonder if you know of the house he designed c. 1966-’67 on Sheldon Rd. in the town of Mendon for the founder of Dyna Color Corporation? I was just talking with Marcia Greenwood at the “Democrat & Chronicle”, who writes for their “Rochester” magazine. She’s looking to incorporate this house in an upcoming feature story on design. Located west of Clover St. & Mendon Ponds Park, the Sheldon Road house is 8,000+ square feet and appears to be one of the first examples of a suburban “Mc Mansion/Trophy House” in Monroe County. When it was built, it would have been a remarkable anomaly in the mostly-rural countryside that characterized Mendon, which had not yet experienced the many “trophy-sized” houses that were built beginning in the 1980s & continuing to the present. Marcia’s files state that Don Hershey was the architect for this house. 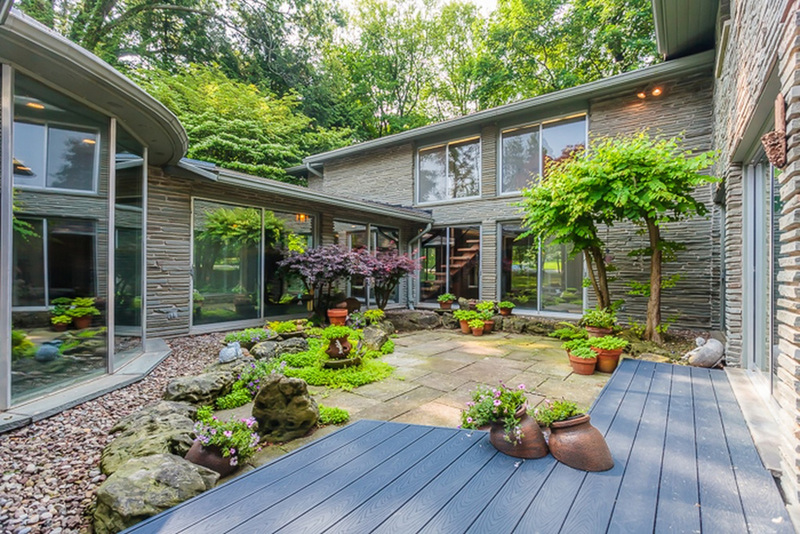 I was quite surprised – as Don’s residential designs look very different from this house. As it turns out, Marcia & I – who both grew up in the Rochester area – also shared the background of family “Sunday drives” – where our families would explore the roadways in the many outlying communities. 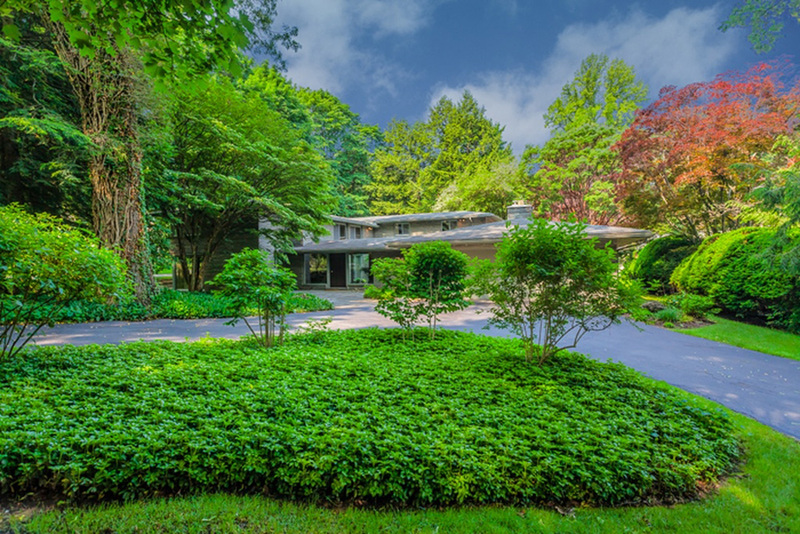 In discussing this house today, we discovered that, when our respective families first saw this house back in the late 1960s – during a “Sunday drive” – we both had the same reaction: “What, exactly, is this building? !” Its size, scale & appearance made it appear to be more like the clubhouse for a private club, than a single-family residence. And, now that we know Don’s style of residential design – it certainly doesn’t look any other house he designed during his career. From the newspaper articles on file at the D & C, the house was described as a building “designed for entertaining.” That would make sense, when you see its size, the large “footprint” of the building and the outbuildings on the property. Do you know of this building? Have you ever talked with Don’s 2 sons (Ken, Don) about this project? It’s certainly unique in the catalogue of Hershey-designed houses.